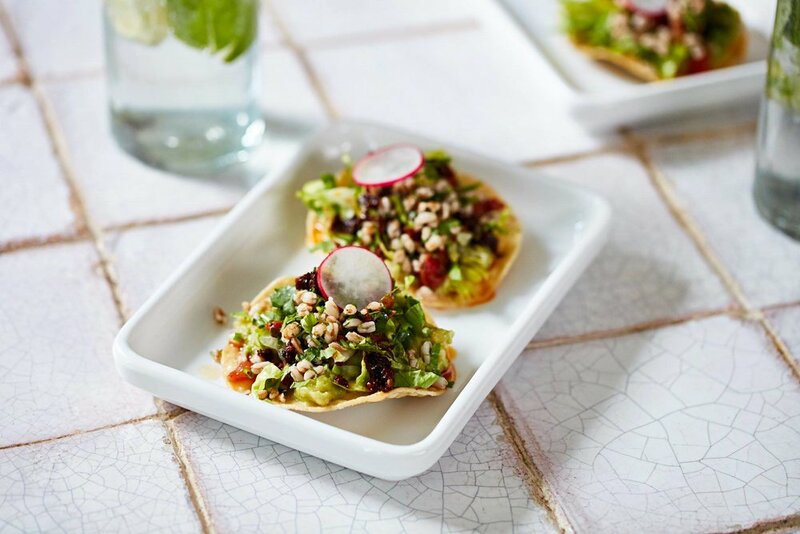 The menu at Wahaca is full of amazing vegetarian delights (and lots of vegan options too!) from snacks right through to desserts, you’ll be enjoying your low carbon animal-friendly food here. We’ve worked with the MSC (Marine Stewardship Council) for 10 years now and received a lifetime achievement award from them at the end of last year. We never put octopus or tuna on the menu, as they don’t come from sustainable sources. In January 2018, we went to war on plastic straws and stopped serving single-use straws in all but essential drinks (unless a customer asks for one). The only straws you’ll find in store now are 100% biodegradable! We believe in supporting British farmers and have committed to buying all of our meat from within the United Kingdom. There are lots of other local ingredients on the menu too! Since opening, Wahaca has been a climate leader in the industry, and became the first restaurant group in the UK to be certified as Carbon Neutral. We are continually looking at ways to further reduce our emissions.